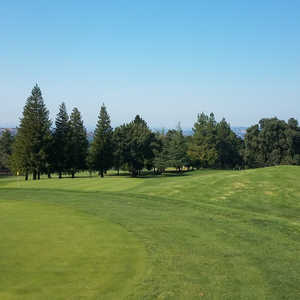 WALNUT CREEK, Calif. - Ever get sick and tired of golfing the same style course? Sure, each course you play is different. But none of them is anything out of the ordinary. Your typical course has some water hazards, a bunker or two and plenty of tree-lined fairways. Right? 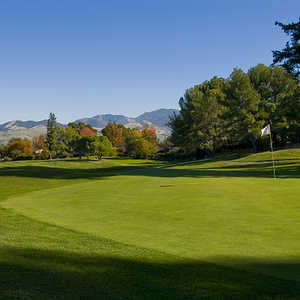 Welcome to Boundary Oak Golf Course in northern California, where the golfing, for a change, is different. What sets Boundary Oak apart from other courses is their greens. When most courses have 18 greens - one for each hole - Boundary Oak is different. The course proudly has 30 greens for its 18 holes. "We are the only course in the United States with 30 greens," the course's director of golf Bob Boldt said. "What happens, is when we have a problem with the greens, we don't have do inconvenience players. We have another green for them to play on." The course originally was built to accommodate 18 greens back in 1969. However, Boldt and others redesigned the course to make it more modern, still keeping the originally greens in tact. The 30-green course is sure making a name for itself. It's been ranked No. 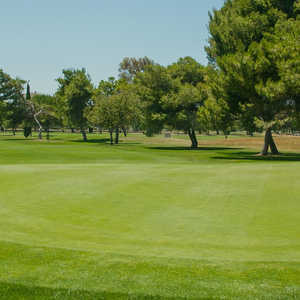 1 in the East Bay by Diablo Magazine and also received a three-star rating from Golf Digest. Also, the San Francisco Examiner recently rated the course as the No.1 facility in northern California. The course plays 7,100-yards from the back tees (their championship/tournament tees) but is still a big challenge from the women's red tees or the regular men's blue tees. The facility comes complete with a pro shop, driving range, restaurant and three putting greens. Boundary Oak hosts over 15,000 tournament rounds and almost 100,000 total rounds of golf each year. In addition to a top-notch facility, the staff at Boundary Oak is second to none. The professionals on staff have earned a combined $1 million on the PGA Tour and five golfers that have been through their program are currently playing Division-I collegiate golf.